Leaf Shield services Brisbane, Gold Cast, Sunshine Coast, Wider SE QLD, Northern NSW and Sydney. For enquiries, please click here: enquiry and we will get back to you shortly. 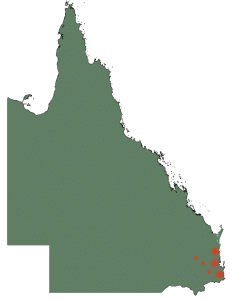 Leafshield has locations throughout Queensland. Simply phone the Leaf Shields head office in Brisbane or alternatively use the enquiry form and we will get back to you very soon. We provide gutter leaf mesh to customers wanting a reliable gutter guard system that is built to last through the tough summer conditions of seaside living on the Sunshine Coast. Our leaf mesh is available in a range of colours and designs to suit almost any specification. In keeping your guttering clean and unblocked, it helps you obtain cleaner tank water, and reduces the fire and health hazards associated with the build-up of detritus and entry by vermin. There are also a range of specialty features – including protection from finer leaves like pine needles and jacaranda leaves, and from invasion by birds and possums – to choose from. For a quote on leaf guard installation, give one of our Sunshine Coast consultants a call today! Leaf Shield Bundaberg – installed on your roof with a 10 year Manufacturers Guarantee!